The NAB Show (National Association of Broadcasters Show) in Las Vegas, Nevada this year was an absolute success. DMCAForce seeks to expand it’s connections into Radio and Broadcasting through working with integrated services already encoding and distributing through these networks. We are there looking for digital and non digital partners to digitize and Fingerprint the content being passed through their networks onto our service, AVForce. AVForce is one of the only digital fingerprinting technologies out there which programmatically fingerprints content, associates content, pulls apart stems and tracks and associates Meta-Data and rights. We seek to better service our existing client base and new clients around the globe through more efficiently identifying content for protection, removal or collecting royalties. AVForce provides API’s to deal with new laws like title13 and is able to finger print the content without changing or modifying the content. We extract unique characteristics about the content and turn that into a “fingerprint” to ID it. Faster, more efficient, and overall accuracy is better than Watermarking or Hashing. The NAB show was a great success in identifying and connecting with these potential partners. We want to share this with our partners as it would not have been possible for us to have attended the NAB show if it wasn’t for some of our partners referring us to. Thank you to Qencode and their encoding services and awesome CEO Murad Mordukay, without his recommendation to attend the event we would not have known about it this year. We plan to attend and possibly exhibit next year thanks to the recommendations and great experience. A special thanks to Benztown radio production company which was hosted a very auspicious event of movers and shakers in the online radio publishing space. Benztown has a unique collection of libraries of imaging, voice-overs and jingles that we hope we can help protect in 2019 and beyond. 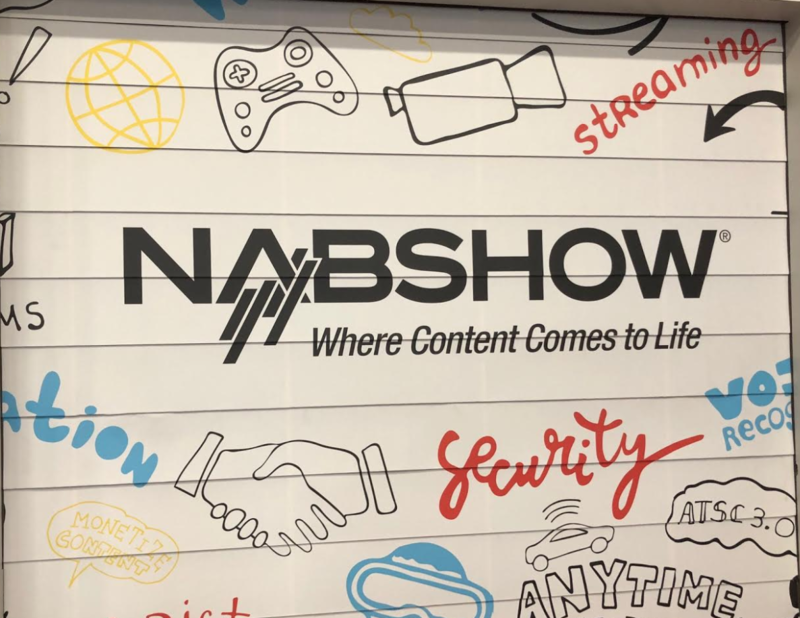 Many great connections and partner integration opportunities were formed at the NAB show this year and recommend it to any future participants considering going.